O.M.G. I thought I was too old to fall in love all over again. It had me at twelve layers of waxed canvas. Yes, I said 12 layers. This baby literally flew across my folded bag strap (did I mention it was 12 layers of waxed canvas??) without a hiccup. Without a skipped stitch. Without any distortion in stitch length. Wowzers! I know. I NEED another sewing machine like another hole in my head. But just think of the bags I can make! Jeans. Top coats. The possibilities are so tantalizing! And look at the cool feet that come with it! Walking, universal, rolled hemmer, topstitch, edgestitch, and two darning feet! Bwahahahahahaha! If those 2 feet weighed enough I would have myself 2 new pattern weights. Who in the Sam Hill darns any more? Yeah, I know, they are also used for quilting. And we all know how much of THAT I do! This machine is kind of a cross-over; a little bit of a home sewing machine and a little bit industrial. It uses regular, home sewing machine needles, but has a beefy motor and speed more similar to a commercial machine. It weighs more than most home machines (38 pounds), but is still portable enough that you can take it into a dealer for servicing. It is a single function rather than a multi-purpose machine, specializing in a perfect straight stitch. Easy to thread, easy to operate, it comes with a large extension table and a knee lift—both features I love. It only took me about 30 seconds to get used to the foot control, which has a thread cutting feature that can be activated with a “heel tap” to the foot pedal. I have to say I haven’t made friends with the needle threader yet, but I imagine with practice I will conquer it. And it is kind of annoying that changing feet requires a screwdriver, but I can deal with it. 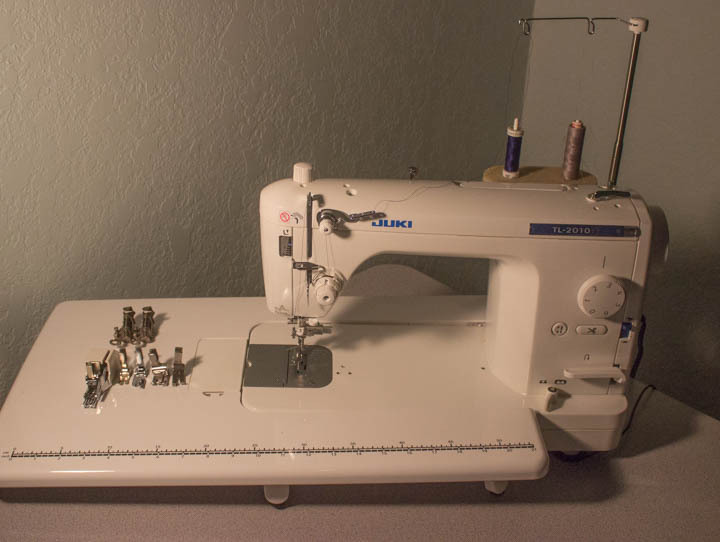 This machine is definitely not going to replace my Bernina 710, but it is an amazing addition to my collection. I might even try sewing shirts with it! Do you own any single-function machines? Commercial machines? This is my first foray into the “industrial” realm, and I am wishing I had jumped in earlier! It does seem rather shocking, but there is a new sewing machine in my studio. Specifically, a machine that is not a Bernina. 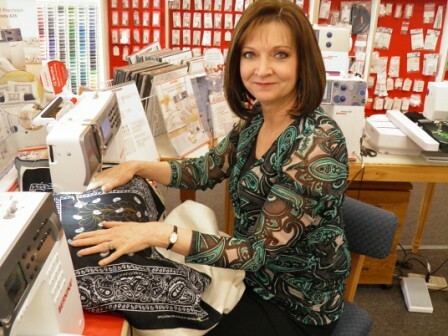 Most of you probably know I am a dedicated Bernina gal, having owned a variety of models for the past 40 years. But I need a machine I can recommend that is at an acceptable price point for a broader segment of parents. Loads of you have commented on how much you love your Janome machines, and I also have several friends in my local ASG chapter who own and love Janome machines. 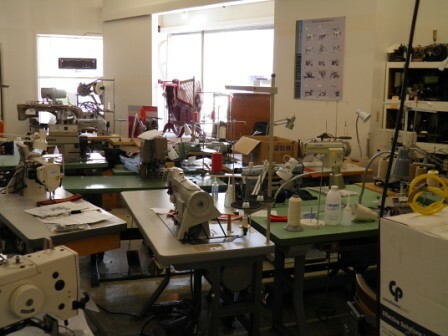 Oddly enough, I don’t think I have had a single student come through my studio in the past 3 years with a Janome. Plenty of Brothers, and Singers, but no Janomes. So this morning I sped out to Issaquah Sewing and Vacuum to meet with Eddie Schultz and find out firsthand about this brand. I told him I was interested in a machine that was appropriate for new sewing students, and was an alternative to the Bernina price tag without sacrificing quality. Eddie had one thing to say: Janome DC2014. Easy to operate. Plenty of metal components under the hood to ensure quality engineering. Enough decorative stitches to intrigue old and young alike. Needle up/down. Variable needle position. A buttonhole modeled after the Bernina same-direction satin stitch technique, plus a keyhole buttonhole. Comes standard with a bunch of feet, including a walking foot. Runs smoothly and quietly. Direct current motor that ensures full power to the needle regardless of the speed of the machine. All of this for only $499? Wowsers! I bought 2. I haven’t had a chance to test drive it myself, but one of my young students did the honors today. Let’s just say she has experienced her first love at the age of 11. People ask me all the time for sewing machine recommendations. Sewing machines are complicated pieces of equipment. If you expect good engineering, you are going to have to pay for it. Good engineering prevents tension problems, thread jams, bobbin-winding snafus, and much more. What kind of car do you drive? Uh huh. I thought so. You like the road performance of German engineering, right? Same principle applies to buying a sewing machine. I also think it makes better economic sense to purchase a better quality machine – one that holds its resale value. I regularly see Bernina 830 Record sewing machines (manufactured between 1971 – 1981) selling for $500-$700, depending on condition and accessories. In 1975 the retail price was about $750. Take that, Brother. Let’s talk about your time. It’s probably limited, like most people’s these days. If you want to spend the free time you have available for sewing fiddling with a cheap bobbin mechanism trying to get a decent stitch out of a $100 Singer, be my guest. I would rather actually sew. And then there is the pleasure factor. I would wager that if you spend all your sewing time fighting a machine, you are not likely to think highly of the art and the unbounded enjoyment sewing can provide. Me? I can barely tolerate putting gas in a car! Shouldn’t you should just be able to buy the damn thing and have it run forever? OK, now that you have read all my biases about Bernina and snarky comments about cheaply manufactured plastic machines, what sewing machine should you actually buy? Find a good dealer. If you are asking me for recommendations you probably aren’t knowledgeable enough to buy a machine on eBay. Do yourself a favor and get a dealer you can trust. You already know my opinion on that too. Buy the best machine you can afford. That doesn’t mean the one with the most decorative stitches; it means the one with the best engineering. 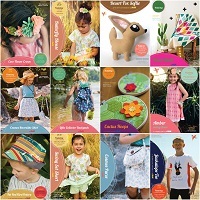 Try to think about what you sew today, and then take a look into the crystal ball of your sewing journey and project a few years down the road. When I bought my latest Bernina this spring I bypassed the embroidery software option. If I have not embraced machine embroidery in 48+ years of sewing, it’s probably not gonna happen. Consider buying a used machine (from a reputable dealer). Well-built sewing machines do not really wear out, but people do “trade up” for machines with more features. This can be a really good way to get a great machine at a discounted price. It’s hard for me to say much about brands other than Berninas, but a Singer would definitely be a very poor purchase choice IMHO. Every one that has come thru my studio has been a complete dog sub-optimal. In general, Brother machines are decent if you plan on sewing medium weight cottons, linens and knits. Some (all?) of them are a little balky when sewing heavy denim or home dec fabrics. 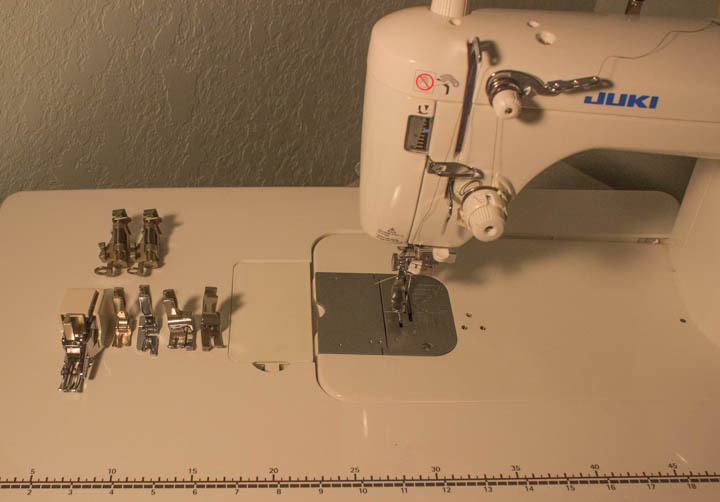 I have not sewn on any Janome machines, but I do have a few ASG friends who like them as a light-weight, portable machine for simple sewing tasks. Just find a reputable dealer and test-drive as many machines as you can. The things that are important to me may not matter to you at all. Everyone who owns a sewing machine needs a good great dealer. A place where the mechanics really know their stuff, and the service is prompt, friendly, and courteous. 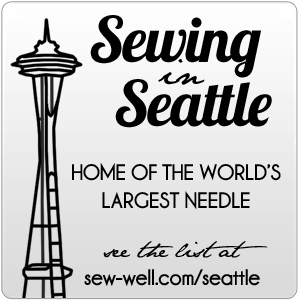 Every day in my sewing studio I hear students complain about their experiences at sewing machine dealers around the Puget Sound area, and I tell them there is another option. 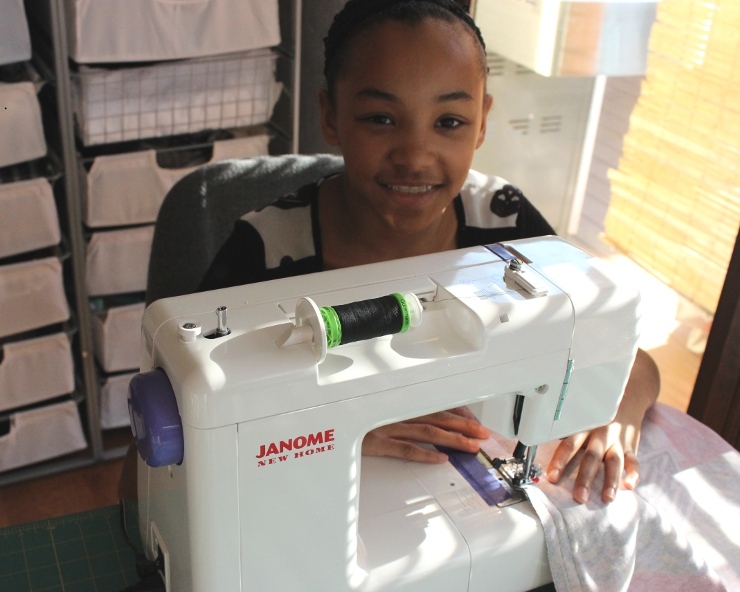 Sewing Machine Service in Renton! I want to brag on them a little today, because they are far and away the best Bernina dealership I have ever worked with. Sometimes I call Cevin just to ask him a random question about sewing machines because I love listening to his encyclopedic knowledge about all things machinery. Today I bring you Cevin Waffle (owner) and Mary Collen (salesperson/teacher/seamstress extraordinaire) from Sewing Machine Services. Ta da! Maris: Cevin, do you like to describe SMS? Cevin: We are really a full service dealership. 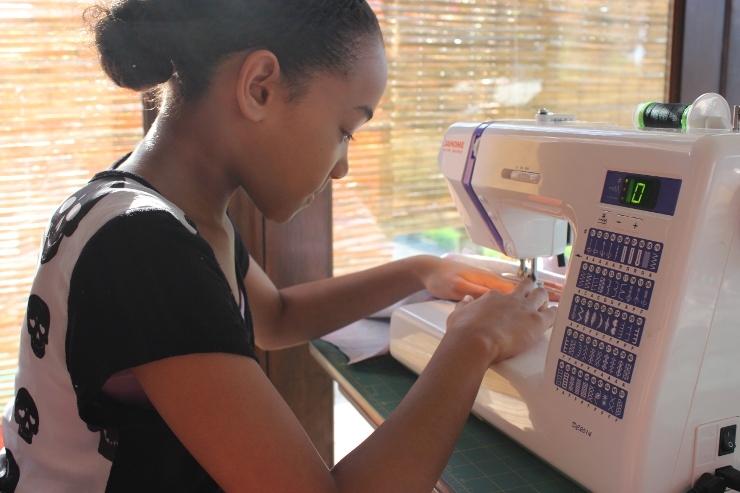 Although we are a Bernina dealership, we work on all brands, both for home sewing and commercial production. 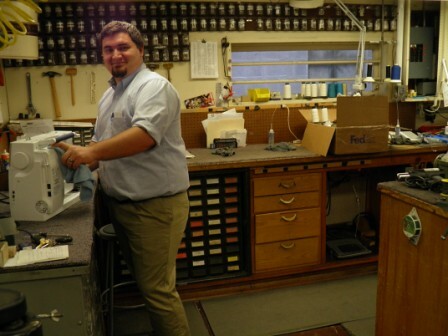 We have 2 full-time, factory-trained Bernina mechanics, as well as hundreds of years of combined expertise in sewing machine repair across our entire staff. We try to establish a real and lasting relationship with our customers, we really want to earn and keep their trust. Maris: Cevin, when did you first start working for Sewing Machine Service? Cevin: I was 15, and still in high school. It was my first real job, and it is the only place I have ever worked. Over time, I gradually I learned more and more about how to clean and adjust home sewing machines. I met my wife, Shelly, when she started working here after graduating from high school, and then we decided to buy SMS in 1998 from Harry Fraley, the original owner. Maris: Mary, tell us a little about how you got started working at SMS? Mary: I was not even looking for a job, but I came into SMS one day and thought “This is the place for me.” I went home and told my husband I thought I wanted to go back to work, applied for the job, and have been here for over three years now. 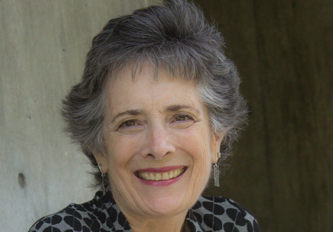 Maris: How has the business changed over the years? Cevin: Probably the biggest change is the competition with online retailers. We can’t always compete on price, but we definitely have the edge on customer service. When people buy a sewing machine, they need to find a dealer for both repairs and service, and we want to be the dealership they choose. Maris: Mary, what do you think sets SMS apart from other sewing machine dealers? Mary: All of the different kinds of machinery we carry, the accessories for so many different machine brands, the back workroom with hundreds of drawers of needles, parts, and all things sewing machines – I love it! I have never been in another dealership that has the range of brands, accessories, parts, sewing notions, and more that SMS has. Maris: Cevin, how about you? What do you think sets SMS apart from other sewing machine dealers? Cevin: Well, first of all, Mary works for us, and that is a huge advantage. I would also say our entire staffs’ combined years of experience working with many sewing machines is a differentiating factor. But probably the main thing about SMS I want people to know is the value we place on the customer relationship. Our goal is to help you buy the machine that is right for your needs, and then provide the ongoing service you will require to keep that machine in peak operating condition. There you have it, readers. Need a machine, or a little tune-up? A new part? You know where to go. Sewing Machine Service in Renton. 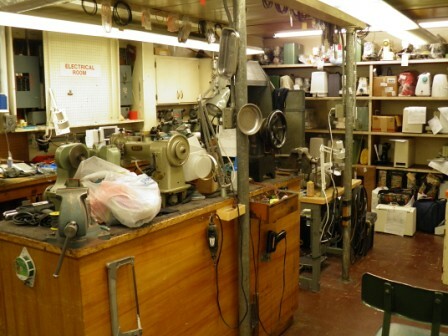 Check out all the nooks and crannies, little drawers full of spare parts, the industrial machines and home machines waiting to be repaired – LOVE this place! Look at all these machines in the back room! The repair room is a v-e-e-r-r-r-r-r-y busy place at SMS. Ben is cleaning and finishing up a machine. 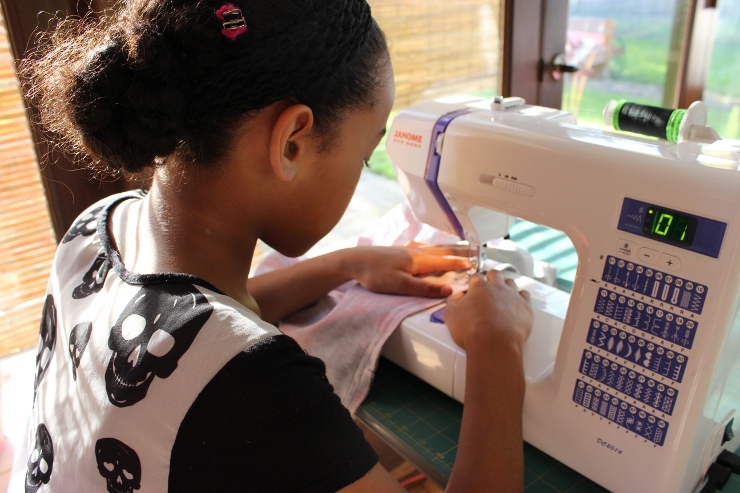 Do you attempt any of your own sewing machine maintenance? I consider myself mechanically inept, but I love to tinker with my sewing machines. After all, some of them are older than my children, and they deserve a little TLC! Well, the sewing plan for this weekend is all about jeans. Making them. I am entering the Jeans Contest on PatternReview.com, and need to finish up one pair that is underway and knock out another. More on that later! 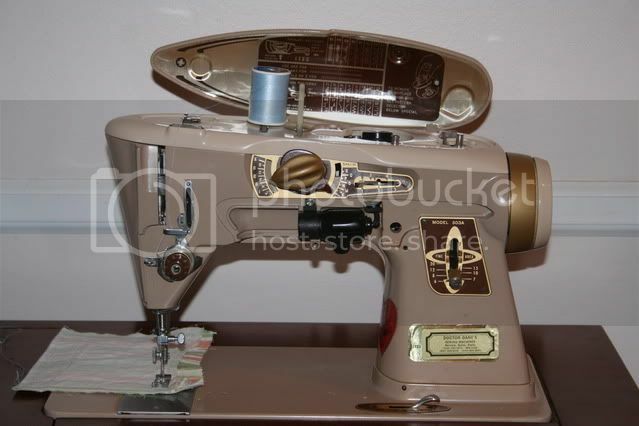 If you are have my Singer 500 Rocketeer, puh-leeze contact me so I can arrange to come get her IMMEDIATELY! And yes, I do want all her beautiful accessories – especially the ruffler and buttonholer because they are so awesome. I won’t be mad if you scratched or scraped her a bit while you were using her, but if you broke anything, there will be some serious consequences. Very serious. It is OK to contact me anytime of day or night with to let me know where she is and how I can get her. I am not sleeping anyway, so never mind the time. Just let me know where she is, and when I can come pick her up. If she is in good condition, all will be forgiven. A reward of up to $200 will be offered for her safe return.